A skin mole is a grouping of cells that shows above the skin that is usually either darker or redder in appearance compared to the rest of the skin. It can show up anywhere on the body, from the face to the back to the legs. Some patients aren’t happy with the way that they look with skin moles and want them removed for cosmetic reasons. See a dermatologist at Foothill Dermatology Medical Center in Rancho Cucamonga and Glendora, CA for advice if you have this concern. According to the American Academy of Dermatology, almost every person has at least one mole on their skin, so it is very common. Moles usually form in children, and more rarely show up in adulthood. Some people call their moles “birthmarks” because they have been present on the skin since birth. 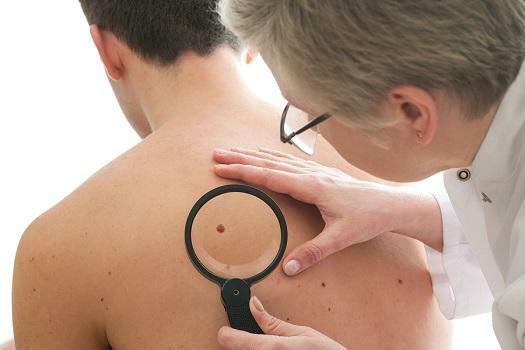 As normal as it is to have a skin mole, dermatologists still want patients to keep an eye on these small round spots as they could present a risk for certain types of skin cancers. They should be examined if they become itchy, start to bleed, suddenly change in appearance or size, or feel painful to the touch (or in general). Some people have dozens of moles all over their body and they don’t present much of a problem. But when a mole starts to significantly affect your appearance, is very large, or is located in a prominent place on your face, it can be more than just a minor annoyance. If a skin mole is affecting your self-esteem or causing you to apply more makeup than usual, it may be worth talking to your Rancho Cucamonga and Glendora, CA dermatologist. Removing a mole is a cosmetic procedure that only takes a few minutes, and won’t require an excessive period of healing. The mole tissue is gently excised using a surgical knife, and then the area is treated and covered so that it can heal properly. Keep in mind that this is a procedure that can only be safely performed by your Rancho Cucamonga and Glendora, CA dermatologist. If a mole is biopsied and determined to have cancerous cells, a different procedure may be necessary such as MOHS Micrographic surgery or cryosurgery. There’s a strong possibility that your unwanted moles can be removed for cosmetic reasons by your skin doctor. Call (855) 454-3401 or (626) 852-3376 today to schedule an appointment with Dr. Amarpaul Sidhu at Foothill Dermatology Medical Center in Rancho Cucamonga or Glendora, CA.